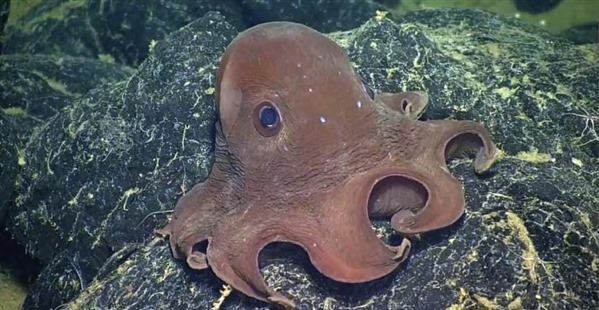 A University of Washington oceanographer has helped create the first full-color photographic atlas of the ocean floor. “Discovering the Deep: A Photographic Atlas of the Seafloor and Ocean Crust” (Cambridge University Press, 2015) was almost a decade in the making and contains more than 500 original illustrations and color photos, and access to online educational resources and high-definition videos. The book comes with endorsements from ocean explorer Robert Ballard; Kathy Sullivan, the head administrator of the National Oceanic and Atmospheric Administration; and filmmaker James Cameron. 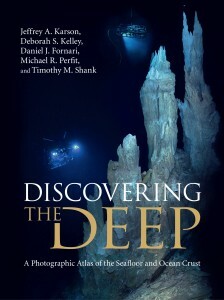 The book covers the history of exploration of the deep sea, and the geology and biology of the roughly 40,000-mile mountain chain of underwater volcanoes that cross the world’s oceans. 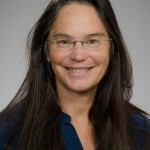 Kelley was lead author of the chapter on hydrothermal vents, including the black smokers venting metal-rich fluids of more than 700 F that she has studied for decades. Local examples include the Endeavour vent fields and Axial Seamount, off the Pacific Northwest coast. Also described is the Lost City vent field, a completely distinct type of hot spring environment in the Atlantic Ocean that Kelley helped discover in 2000. There, limestone chimneys tower 180 feet above the seafloor hosting bizarre lifeforms she and her students have since studied. “The life in these systems is very diverse, and in many ways we’ve just touched the tip of what’s down there,” Kelley said. A veteran of the deep sea, Kelley has traveled to the seafloor more than 50 times to depths of more than 2 miles (4 kilometers) in the specialized submersible called Alvin, built to protect passengers from the bone-crushing pressures and near-freezing temperatures of the abyss. She has seen ocean imaging technology evolve from grainy images to the high-definition photos contained in the book, and the HD video available on an accompanying website. Kelley is part of a current National Science Foundation project that recently wired the largest underwater volcano off Washington’s coast and surrounding areas of the seafloor. 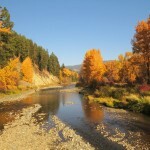 More than 100 instruments will use Internet and high-voltage power to observe these dynamic environments in real time. The entire ocean circulates through the seafloor every 8 to 10 million years, and so the seafloor composition is closely connected to the waters above. 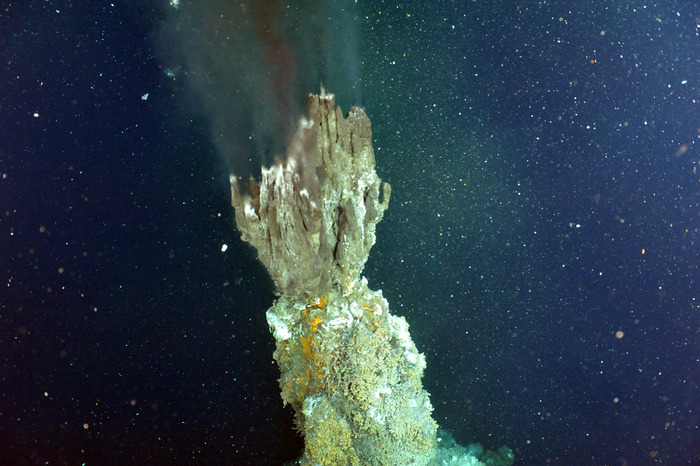 It is not yet known how volcanic eruptions on the seafloor affect the life and chemistry of the oceans, and how the biological communities of the deep sea originate and evolve. The unexpected discovery of life on seafloor volcanoes, that survive off toxic gases instead of sunlight, has raised questions that have yet to be answered. 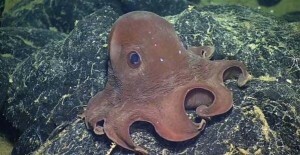 “These systems have really changed how we think about the oceans, and life on Earth and on other planets,” Kelley said. For more information, contact Kelley at 206-685-9556 or dskelley@uw.edu. The book is currently available for pre-order in the U.S. For press inquiries, contact publicist Rachel Ewen at rewen@cambridge.org.